Succulents are one trend I am not getting tired of. I love their color, their texture, and that when you are done using them in an arrangement you can just put it in the ground and plant it! Talk about green. 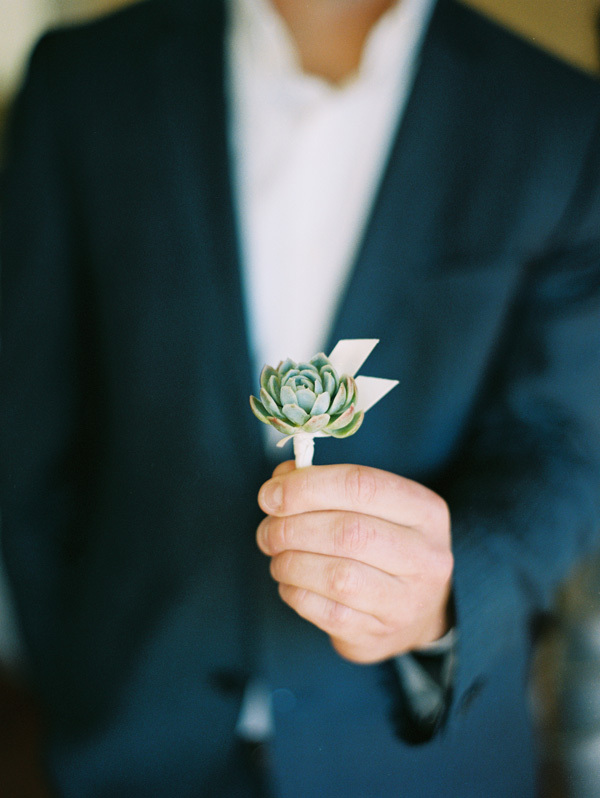 One of my favorite boutonniere designs is a single simple succulent, as seen here in Leo Patrone’s photograph. Slightly masculine, slightly simple, slightly succulent.